With aging, teeth usually fall off due to either the periodontal health issues, or many other factors. And replacing them for function, looks and comfort is either by wearing dentures or by placement of dental implants. A complete denture is a set of all teeth of each jaw worn when all the teeth are lost, and implants are the artificial teeth replacing single tooth individually, and not in an entire set. The selection between a denture and an implant depends on factors such as price, looks, longevity of usage and the amount of tissue supporting them from beneath. The dentures help in providing good smile to people of any age group, along with that helping in replacing the original face form and profile, and on the other hand, dental implants does the same job but with more benefit or making the teeth look more natural as each tooth is placed individually and sets permanently with the jaw, unlike the dentures. Dentures can be removed when not in use, and can be kept out overnight, which can be helpful for many, but uncomfortable for some who need something fixed, and that is what the implants provide. They are fixed to the jaw bone. * Dentures are known to cause ridge resorption (reduction in the thickness and height of the jaw bone) over the time, and in a few years the quality of the bone support gets reduced. Implants are very advantageous in this case, as they produce no much effect on the bone. 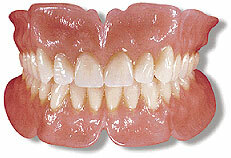 Denture can sometimes float in the mouth due to improper seating, can break, and cause trouble in chewing, speaking etc. Implants do not produce any of these problems. The time taken to make a denture is comparatively very less when compared to that taken in placing the dental implant screws and crowns. It takes a minimum of few months for the complete implant procedure and when its all the teeth, it takes longer time. Cost involved in denture making is very less when compared to that of implants. A single tooth implant can cost you thousands of dollars, the same which could make the complete denture. very good blog I think dental implant is better ? In my opinion, dental implants are a better investment than dentures. Dentures can get lost, break easily and takes a long time to get used to, things that a patient won’t experience with implants. as per me dentures are better to use than implants coz for developing countries it is still a taboo not to spend much over a disease as they are bound to save for other priorities of life. secondly dentures can be removed when required. so as many as patients can only be served by low cost n easy approach…………. I think implants are a much better option, looks better and easier to maintain. I think Dental implants are an ideal option for people. 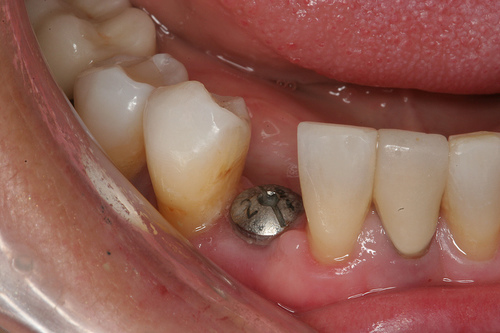 A dental implant is an artificial tooth root. Dentures are prosthetic devices constructed to replace missing teeth. I Think you’re absolutely right. I too would prefer dental implants before dentures anytime.